Author Doreen Grace Kester Discusses Paisley & more! Hello, and welcome to the Reading with your kids podcast, your one stop solution to all your children’s book needs! We have an extra special episode for you this time! In today’s episode, we talk about a subject that is very close to our heart “Positive self-talk and the value of being yourself”. 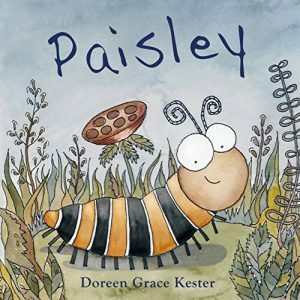 We bring author Doreen Grace Kester along to talk about her wonderful new children’s book Paisley. Tune in to learn more about Paisley & her journey to become a beautiful butterfly! 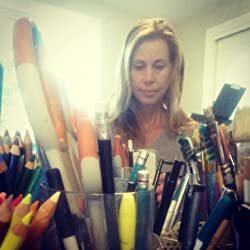 Adventurer, storyteller, and illustrator, Doreen Grace Kester studied creative writing through the Institute of Children’s Literature and art at the University of Oregon College of Design. Doreen lives in the Pacific Northwest, along with her husband and daughter, nestled between the mountains and the sea. Whenever she is not working on a project of some sort, Doreen can likely be found hiking the forested trails, or paddling around an orange kayak, looking for the next adventure. A caterpillar’s journey into becoming a butterfly! Paisley is bullied by a squirrel named Rasma. Everywhere Paisley turns Rasma is not far behind. Will Paisley ever become all she is made to be? 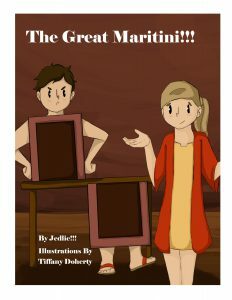 Read on to join Paisley as she transforms into a beautiful butterfly and flies off into happiness. Doreen explains how Paisley can be a great book for parents to talk to their little ones about bullying and importance of listening to their own inner voice and not the negative ones around them. gives us an exclusive sneak peek into her upcoming books & more. Read NextElara, STEM Girl: Children’s book to inspire a love for STEM!